Is Detox from Inhalants Necessary? Detoxification, detox for short, is a process in which someone is treated with a goal of eliminating toxins from their body safely. Detox from inhalants abuse or dependence can be a necessary start for someone to achieve recovery. Detox can be considered a first step to treatment for addiction; it can help clear your mind so you can focus on learning the skills necessary to maintain sobriety. The main goal is to remove yourself from the environment where you are using or the people you are using with. It may also be important to seek medical detox treatment to manage any withdrawal symptoms that may occur when you stop using. Without the assistance of a structured detox program, it is possible you will return to using in order to relieve withdrawal symptoms. Inhalants dependence is recognized, but the clinical significance of withdrawal from inhalants is debated in the research. However, studies on adolescent users have demonstrated a pattern of withdrawal symptoms after stopping inhalant use. If you have been using large amounts of inhalants, it is possible to experience seizures during the withdrawal process. Should seizure activity be a concern, medically monitored detox is an absolute necessity. Because the euphoric effect from inhalants is short lived, you may be using more often and in larger amounts, which can lead to dangerous withdrawal symptoms that appear soon after the high fades. In adolescents—who tend to show the highest rates of inhalant abuse—withdrawal symptoms can seriously hamper normal functioning and, in some instances, precipitate self medicating behavior with concurrent use of substances such as alcohol or stimulants. Detox may be necessary to alleviate inhalant withdrawal effects and further minimize the possibility of relapse. If you or someone you know is abusing inhalants, call our treatment support team at 1-888-993-3112Who Answers? for guidance. We can help guide you to the nearest inhalant detox facility that will provide the safest treatment for your loved one. If you decide to detox at home, you may be placing yourself at risk for harmful withdrawal symptoms such as seizures. puts you at risk for using again to relieve these symptoms. The more you continue to use, the more you risk causing serious damage to your brain and body. Inhalant detox facilities can make the detox process safe and comfortable. According to the National Institute on Drug Abuse (NIDA), there are no FDA-approved drugs to treat an inhalant addiction. 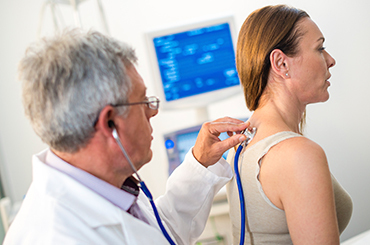 Generally, a physical examination is required to determine the level of damage inhalants may have caused to the central nervous system and organs such as your lungs, liver and kidneys. Many of the withdrawal symptoms that occur during the detox process from coming off inhalants can be treated with a variety of medications – administered with the intention of making the withdrawal period more comfortable. These medications are usually non-narcotic, non-addictive and can be used short-term with limited risk of negative side effects. Zofran or other anti-emetics—for nausea and vomiting. Anti-convulsants such as Tegretol, Depakote or Neurontin—for seizures. Inhalants detox usually takes weeks. Detoxification from inhalants typically lasts longer than detox from alcohol and other drugs due to how inhalants are stored in the body’s fatty tissue. Detox usually takes weeks in which most of the withdrawal symptoms can be resolved. Post-acute withdrawal symptoms such as difficulty concentrating or memory loss problems can be treated at a less intensive level of care and are not always resolved during detox. Inhalant use causes cognitive impairment and problems with memory, which in some cases may make it difficult for inhalant abusers to learn new things. Inhalant abusers benefit most from the individualized time and attention and, because they can be aggressive and disruptive, it is important to have support staff that is willing to be patient and accepting of this behavior. According to a 2011 study in the Journal of Psychoactive Drugs, inhalant users have a high level of substance and psychiatric use comorbidities. Should a concurrent mental or behavioral health condition be present, detox at a dual diagnosis treatment center could be very beneficial. Barring a complicated clinical presentation, since withdrawal symptoms are not typically severe or life threatening, an outpatient inhalant detox regimen is always an option. One of the most important things to remember when choosing a detox center for inhalant abusers is the detox process can takes longer than most other drugs. For this reason, it is important to ask the detox center if they specifically provide detox from inhalants and how long the detox process might last; you should expect to hear it takes weeks rather than days. Cost is a big consideration, so make sure to find out how much the whole treatment costs and what it includes. Also, ask about the concurrent psychological therapies or treatments they offer, and whether they are incorporated into the treatment schedule. Finally, talk to your insurance provider to see if they cover such a treatment. If you need information on treatment and where to find a detox center, call to speak with a treatment support team member at 1-888-993-3112Who Answers?. We can provide information to help you or a loved one get the help you deserve.